Tiger Woods is finally off the equipment market after choosing TaylorMade as his new equipment provider. The multi-year deal will see the 14-time Major champion play with TaylorMade woods, irons and wedges for the foreseeable future. 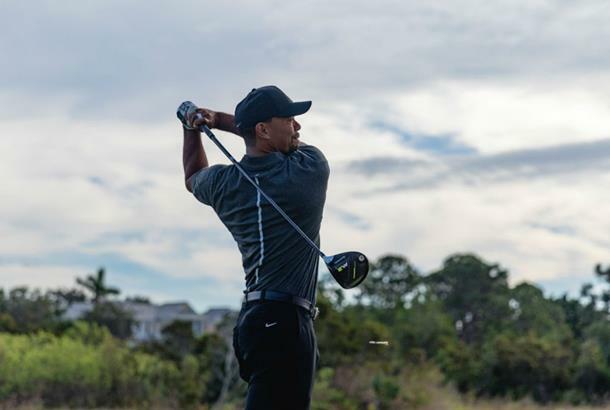 The exact length of contract was not disclosed, but TaylorMade CEO David Abeles did announce that Tiger will be putting the new woods in the bag alongside his old Nike irons at this week’s Farmer Insurance Open. We understand Tiger has opted for the 2016 TaylorMade M2 driver (9.5 degrees), 2017 M2 3-wood (13 degrees) and M1 5-wood (19 degrees). "Throughout my career, I’ve always been meticulous about my equipment," explained Tiger. "Over the past few months, I’ve had clubs from every brand sent to me to test. When it came to making a final decision, the choice was easy – it all came down to performance, which is why I chose TaylorMade." Tiger’s history with the brand goes back to his days as the world’s top amateur, when he played with TaylorMade metalwoods during his victories at both the 1994 & 1995 U.S. Amateur Championships. "Our product teams at TaylorMade have a singular focus - to create the best performing golf equipment in the world," says Abales. "We are thrilled that Tiger has chosen to play TaylorMade. His impact on the game of golf is undeniable and we are honoured to have him part of our team." The contract, which does not include any equity in the company, comes after Nike sensationally announced they were pulling out of the equipment market last summer. It also represents Tiger's second equipment deal in as many months, after he put pen to paper on a multi-year deal to play Bridgestone golf balls in December. The 41-year-old will be putting the TaylorMade woods and the Bridgestone B330-S ball into play for the first time at Torrey Pines this week, where he will be hoping to continue his love affair with a course that has yielded eight of his 79 PGA Tour wins.